On Monday, Argentina’s President Macri admitted that the country is in a state of emergency. The entire government has realised that their lack of initial action was an error. Without getting into detail, Macri warned that the country cannot keep spending. Argentina’s Country Risk has reached levels not seen for a while and so the government is trying to do whatever it can to avoid another crisis. An inevitable circumstance is ahead – the Argentine peso’s devaluation that has no bottom. Markets assume that Argentina’s problems are unlikely to be resolved anytime soon, and that the government is not in full control of the situation. 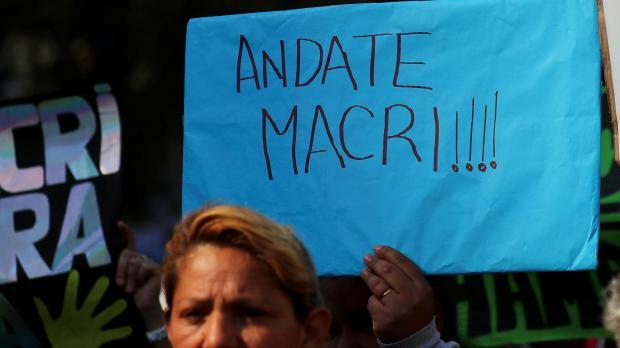 Just when the loss of confidence is at the centre of the stage, President Macri announced a new plan which seems to be the final arrow in Argentina’s quiver. On paper, it might represent the most dramatic fiscal adjustment in decades. However, the plan seems realistic and will leave Argentina with a small financing gap, which would eventually be filled with increasing IMF disbursements. Fair enough, but Argentina is going through a major political crisis especially due to President Macri and his team losing credibility after the mishaps that came about since the peso came under pressure. From a foreign exchange stress situation, Argentina now has a full-blown economic, financial and political crisis. The perception of the market is leaning towards Macri not being able to deliver on such a daring plan. In fact, the US Dollar moved up again even though Central Bank Chief, Luis Caputo, continues to cross swords on FX intervention, while losing precious reserves. Interest rates are where they are because there is a possibility of very specific default. Is a restructuring of debt possible? It could be in the form of a swap but Argentina has too much at stake and will need foreign investment to get out of this mess. Market noise needs to calm down as if this agreement is made to advance the disbursements of the IMF, the financing gap is very low. Argentina’s 2-year Credit Default Swap (CDS) keeps increasing while the Argentine peso lost another six per cent in the first two days of the week and 55% of its value compared to US dollar since the beginning of 2018. If the IMF program fails, will Trump’s support come to the rescue? A statement from the White House was released that Trump is behind Macri’s leadership but the markets did not react. Predicaments in Argentina are coming at an inopportune time, as Emerging Markets (EMs) are getting hit from multiple directions. In fact, a 2-year Credit Default Swap on South Africa, Turkey, Hungary, and Argentina for 2018 shows the emerging market contagion got real. In addition to, total EM borrowing increased from $21 trillion in 2007 to $63 trillion in 2017, according to the Institute of International Finance. The epoch of easy money is ending. Central banks in developed countries are shifting away from zero or even negative interest rates and easing out of their bond buying programs, and financial conditions are getting tighter. A classic emerging markets nightmare seems to be playing out. Will this crisis ignite a wider fallout, sending emerging markets into an Argentina-led crisis? The economic history of Argentina is one of the most observed due to the "Argentine paradox". Argentina holds definite comparative advantages in agriculture, as the country is gifted with a vast amount of highly fertile lands. In fact, in 2010, a large oil and gas discovery was made which makes Argentina an owner of the world’s second-largest oil and gas deposit. It is clear that Argentina’s economic model doesn't work; the country cannot strive from loan to loan but has to find means on which to live on what it generates. Dollarisation? From companies to entrepreneurs, Argentinians spend a big chunk of their days talking about the future value of the US Dollar. Why? Over the course of the last 80 years, Argentina has had to extract 13 zeros from its currency. The consequences of the devaluation included a fall in real wages, a decrease in economic activity, and a rise in unemployment. In conclusion, the situation seems binary and is being reflected in prices. Many market players are starting to suggest that they are betting against Argentina. However, notable fund managers such as Michael Hasenstab still believe in an uprising. What is definite is that the recent turmoil has triggered the fear of contagion effect on other nations. A tough summer indeed for the EM world, as negative news continues to put pressure on valuations, such as the recent news of a recession in South Africa. It’s a pity that specific risks in certain EM regions are affecting other healthier EM countries. However, let us not forget that EM countries nowadays account for more than 60 per cent of global growth, thus going forward their relevance amongst investors should be and will be still strong. Disclaimer: This article was issued by Maria Fenech, Investment Manager Support Officer at Calamatta Cuschieri. For more information visit, www.cc.com.mt .The information, views and opinions provided in this article are being provided solely for educational and informational purposes and should not be construed as investment advice, advice concerning particular investments or investment decisions, or tax or legal advice. Calamatta Cuschieri & Co. Ltd has not verified and consequently neither warrants the accuracy nor the veracity of any information, views or opinions appearing on this website.